The standard deviation of a probability distribution, just like the variance of a probability distribution, is a measurement of the deviation in that probability distribution. It allows one to quantify how much the outcomes of a probability experiment tend to differ from the expected value. Standard deviation is often used in the calculation of other statistics such as the \(z\)-score and the coefficient of variation. The standard deviation of a random variable \(X\), denoted as \(\sigma\) or \(\sigma(X)\), is defined as the square root of the variance. What is the standard deviation of a fair six-sided die roll? Let \(X\) be the random variable that represents the result of a fair six-sided die roll. Three fair six-sided dice are rolled, and the results are summed together. What is the standard deviation of this result? Round your answer to three decimal places. The variance and standard deviation of a random variable intuitively measure the amount of spread, or dispersion of the random variable from the mean. This allows us to approach the following question: what is the probability that the value of the random variable is far from its expected value? 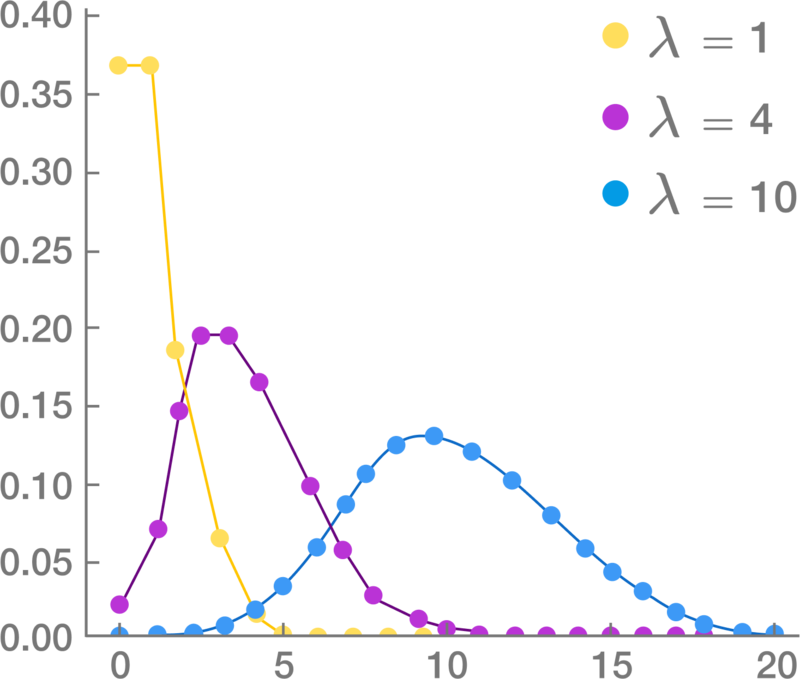 If we consider the probability density function of \(X\), this shows that the area under the curve in the interval \( ( \mu - \sigma, \mu + \sigma ) \) is approximately \(0.6826\), the area under the curve in the interval \( ( \mu - 2\sigma, \mu + 2\sigma ) \) is approximately \(0.9544\), and the area under the curve in the interval \( ( \mu - 3\sigma, \mu + 3\sigma ) \) is approximately \(0.9972\). These probabilities, derived from the area under the curve of a normal distribution, hold true regardless of the value of \(\mu\) or \(\sigma\). For a random variable, the \(z\)-score, or standardized score, of a value is the number of standard deviations the value is from the mean of the data. This gives a measure of how far the value is with respect to the mean value. If a point has value less than the expected value, the \(z\)-score is negative. If the point has value greater than the expected value, the \(z\)-score is positive. The coefficient of variation is a measurement of the amount of deviation in a probability distribution relative to the expected value. We now consider bounds for a general random variable (not necessarily nonnegative). In annual check-up, a standard fasting blood sugar level has a normal range of 75 to 115 mg/dL, claimed to cover approximately 95% of the world's population.